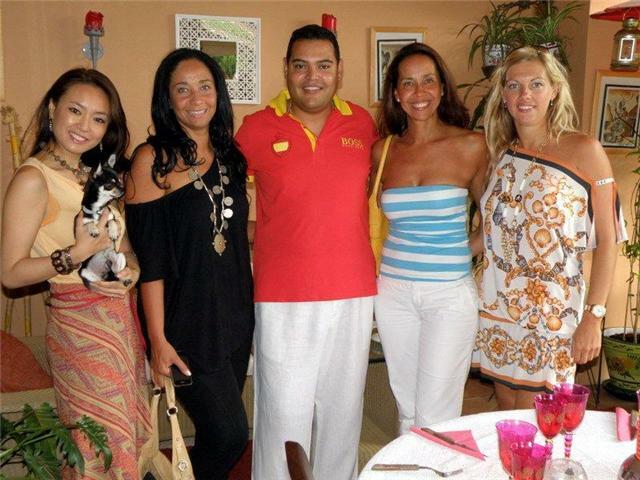 TV presenter Felix Ramos, cheering "LA ROJA"
Felix Ramos and friends enjoyed dinner watching the Spain-Germany match. Football is always a good occasion to host a nice dinner with friends at home in front of a big screen. Anticipating the positive results of Spain against Germany, Felix and his friends enjoyed dinner in a happy atmosphere. Friends like Saeko, Annika, Anna Paola, Jean luke etc didn´t miss the occasion to be there. Felix Pedro Ramos Gil, owner of Ramos Comunicaciones, who presents and directs TV show “Junto a Ti” : Around the World, which covers local, national and international news, attending every single event in Marbella to interview the Marbella´s attendants, celebrities and local known faces. You can watch the show "Junto a Ti" : Around The World, every saturday at 18:00H /Sundays at 22:00H in RTV Marbella and every evening on Radio Cope Marbella (102.2FM).